The rise in the organic industry in the US continued through 2016 as sales topped $43 billion. 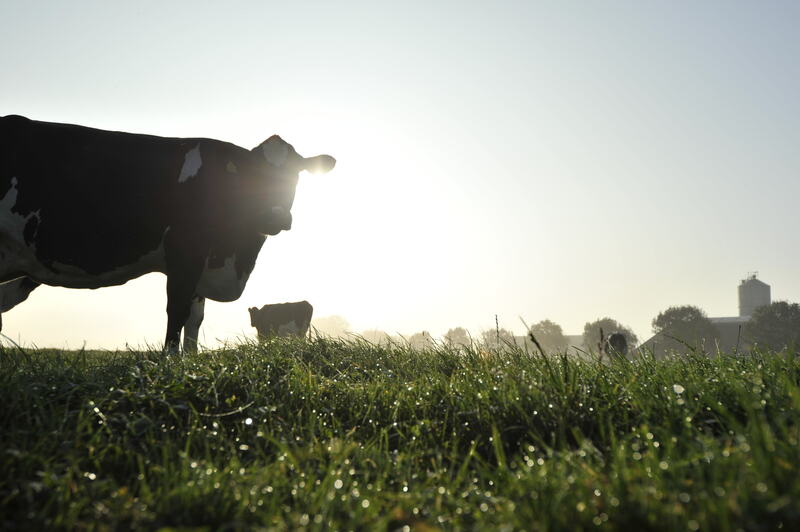 $6.4 billion of that was attributed to the organic dairy category, which is up 6.2 percent from the year. A study by Hartman Group, a research firm focused on the food and beverage marketplace, found that shoppers are willing to pay more for organic products – more than 30 percent more for organic milk, yogurt and cheese. Lely is dedicated to helping all dairies achieve their goals. Automated dairy equipment is a viable option for organic producers as well. Darryl Murrock, who farms with his sons, Dillon and Jeffery, near Watertown, New York, became an organic dairy farm in 2007 in order to meet consumer demands. Last year, he and his family began using four Lely Astronaut A4 automated milking systems. The Murrocks added a fifth robot in 2017 as well as an automated calf feeder that gives them the ability to divert organic milk from the robotic milking system directly to the automatic calf feeder for their calves. Citing more efficient use of labor, higher milk quality, and more insight on cow-health and production, the Murrocks have embraced automation in their barns as a way to thrive in the growing organic industry. Employees from Lely North America visited the Murrock Farms Organic Dairy and learned more about what they see for the future of automatic milking systems.